Easy to put up and fold away. Small enough for the car boot. are fantastic. I've not yet tried the bigger seat as my baby is only 12 weeks old. Really easy to put up and put down. It also fits in the boot easily. Looks good and easy to steer. Leather handle looks smart and the pram looks good. The brake can be a bit flimsy to use but works perfectly. Great purchase. Been using from birth - 3 years. The handle feels lush (leather) and not that horrible texture some pram handles are made from. Its so easy to put up and down. Like SO EASY. And when it's folded it's really small and can get in the boot of a Toyota Aygo!! We bought this pram For our holiday to save us taking our bulky travel system away. 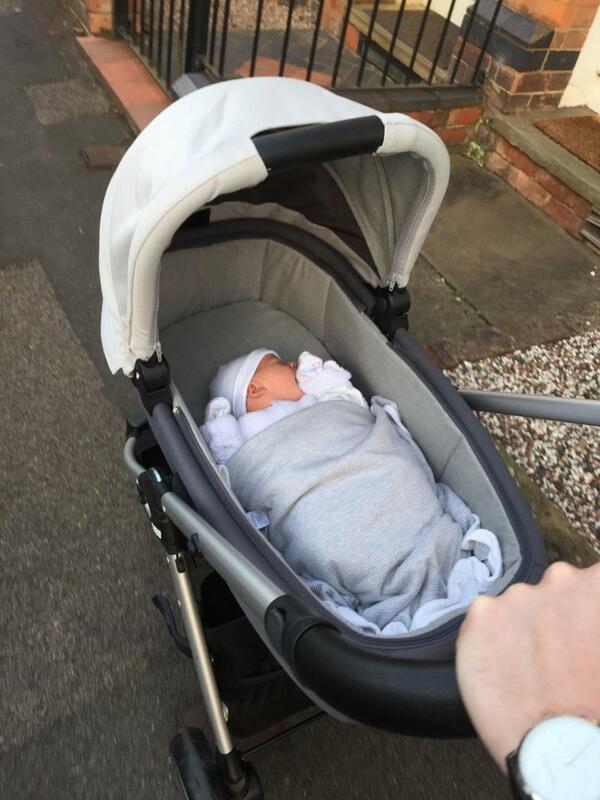 It is perfect for this as folds to take up minimal space, has a brilliant extra large hood and as our daughter will still only be 5/6 months old we lived that it lays flat and can parent face! Feels sturdy to push and the one hand fold system is really handy. 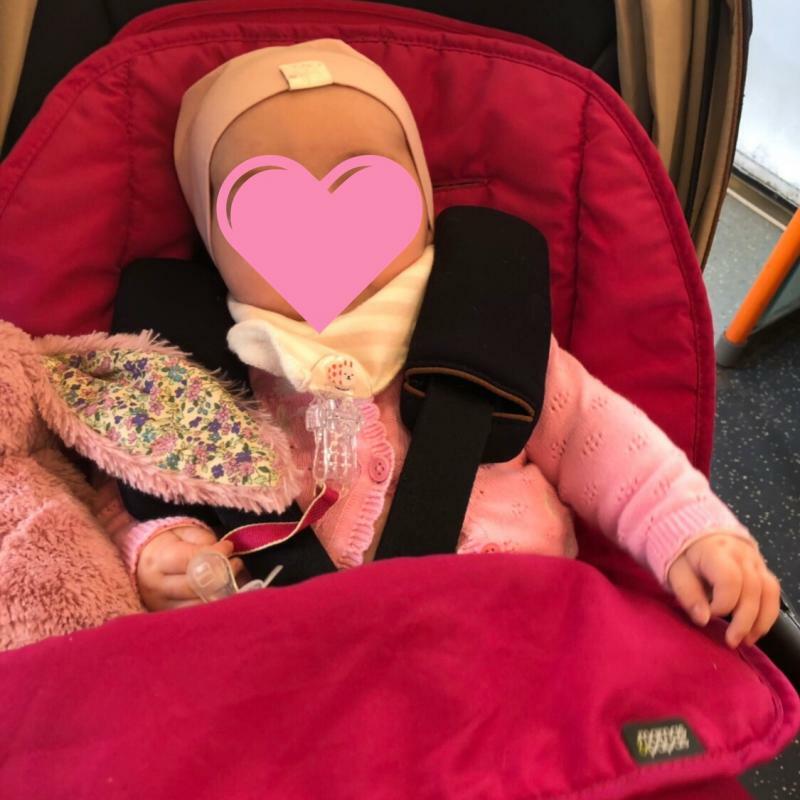 Our daughter seems very comfortable in it and it is great for using on the tube/train extra as isnt bulky like some prams! I brought this for my first born and it is great. So easy to steer and super smooth. I can easily collapse it one handed now, although it did take some getting used to. The design means you can easily dismantle the carry cot or collapse the whole thing whilst holding your baby. I love that it was so easy to steer (even with one hand) and if you live in the countryside like myself the wheels can easily be switched to improve the ease of going over any terrain such as through the woods. 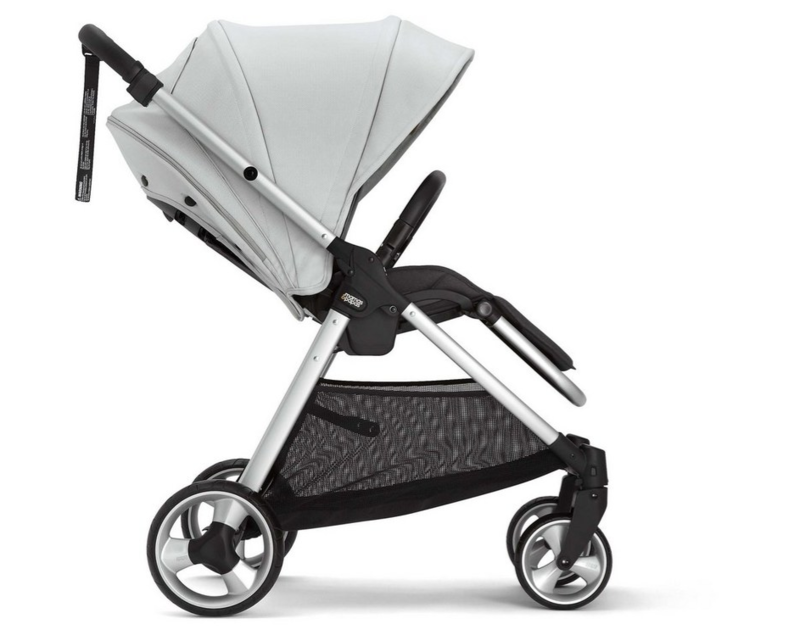 Stylish, light, comfortable for my little baby, easy to store. Goes with every colour ????? I purchased this pushchairs for my 6 months old baby, as I was tired of using the bulky pushchairs I was given as a gift. It is stylish, very easy to manoeuvre even for a novice like me! Different positions and the padding makes it comfortable for baby. I love the colour, although it can be stained if not careful. My walks are now an absolute pleasure, and traveling it no longer a bulky affair!! Love this pram and so does the little one. It folds easy and fits in my small boot. Pretty big seat means it should last a long while with a growing little one. Got a great deal when I bought this pram and I was really pleased with it! 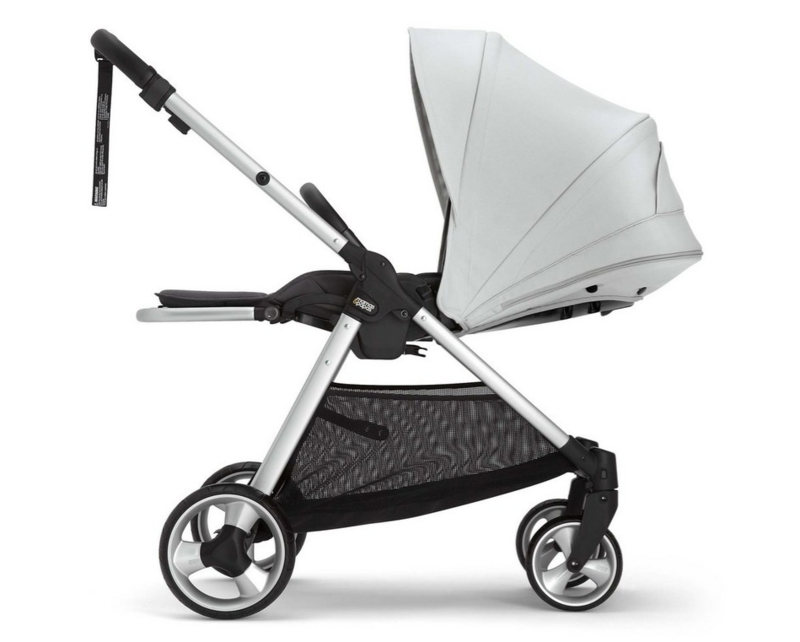 Carrycot very light and easy to use, easy to flip car seat on and off. If you do not have any problems with the seat it’s a really lovely pram! Absolutely love this pushchair!! So stylish and is also so comfy for your wee one to sit in! Everyone always compliments how gorgeous my pram is when I’m out and about it and it’s easy to push! Weekness would be is it’s hard to flip it down but once you get the hang of it it’s fine! I love this pram it’s my first pram and super easy to use. I have a small car and it’s so easy to fold down and fits perfectly in my small boot. I love the quality of this pushchair. It is so luxurious. The seat is really nice and padded. It is so easy to fold and unfold. It is so easy to steer. I love the fact it can face me or away from me as my daughter is so nosey and like to look around but when she is asleep I like to be able to face her. It is slightly heavier than some other pushchairs however I can easily lift it in and out of the boot. The price is very competitive and there are always deals on this pushchair with bundles. I would highly recommend. You can have it world facing or parent facing which is great. The instructions to fixing it up and attaching the shopping basket aren't very clear. We bought this from the mamas and papas store. The staff were lovely and hopefully, showing us how to work and fold the pushchair. The pushchair is great from birth and is very comfortable. We had a little problem with the car seat adapters sticky and the store give us new ones with no problems. Whilst I was searching for a pushchair as a first time mum I had to find one that would fold up small enough to fit into my 40cm Toyota aygo boot! This is what lead me to find the flip xt2 and we bought it in the chestnut colour. This pushchair is perfect. It looks and feels great to push, there is so much storage space and it’s so practical! The wheels come off easily and so does the seat. There are other gorgeous parts you can add onto the pushchair like the carrycot and car seat using the adaptors. I actually found this pushchair for under £250 on amazon so keep your eyes peeled for deals, they are out there to be had! Amazing pram ! I wish I purchased this when I was pregnant as I brought a silvercross wayfarer but after just 4 months I went on to buy the mamas and papas ! I absolutely love it and it has better suspension than sc! The colours are amazing and my baby looks comfy ! This pram is fantastic, we bought it as a bundle with the car seat and attachments for the pram as well as the Moses basket attachment which was perfect for when baby was young. We’ve got this in the chestnut colour and it’s gorgeous. It’s almost a year old now and is starting to age a little bit on the handlebar where I’ve had my bag hanging and the basket unscrews itself in one corner consistently. It’s very easy to fold when the pram is world facing, when its parent facing it seems to be a little bit awkward to fold up. It also doesn’t fold properly at all if there’s the foot muff attached. Easy and quick fold, easy and smooth stearing. Absolutely love love love this pram! So quick to fold down and throw in the boot. My little man is so cosy in it and I love pushing it around as it's so smooth. Comes in and out of the car super easy for the school run. Can't fault it and would 100% recommended! We bought this pram with the intention of using it for our daughter and any subsequent child that followed........ the choice in colours was good. After testing many prams we found this to have the largest basket underneath which is strong and handy when out and about.... the frame was easy to put up and down, although heavier than some we tested. On a whole it is easy to manoeuvrer. We had quite a few problems with the wheels coming loose and falling off which we were told we were very unlucky to have had a problem with, mama's and papas did however arrange replacement wheels and eventually it was sent off for them to look at and we have had no further problems since it's return. Having had a silver cross pram for my oldest child I think the quality here is lesser for the price you pay. That being said I am pregnant with my third child and the pram has stood up to test so we will be using for my son also. I have this is the chestnut tweed and absolutely love it. Comes with great accessories too. Very easy to steer and interchange various parts. Could just do with hood being slightly longer when baby is in a recline position and is a little on the heavy side to lift into boot but all in all a great quality product which I love! This is my favourite pushchair I have used. Reason being, is because this product is firstly, absolutely beautiful. The seat unit is lined with memory foam for extra comfort for the baby, you can also remove the fabric very easily to wash which is a bonus! To fold the pushchair is very simple, but quite recently with my pushchair the clip that you use to fold it, has unfortunately snapped off! But even so - this hasn’t effected the use of it for us. 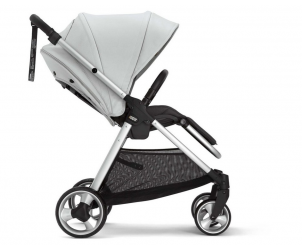 The pushchair has a large basket which can hold numerous items comfortably! It also has a separate bag at the front that you can put smaller items in. My other favourite to this pushchair is the hood. When the child is placed upright in the pushchair, the hood can come all the way over so it is touching their toes! If you’ve forgotten the rain cover - this will come In handy! You also have a zip to the back of the hood which has netting that allows more ventilation to the toddler/baby in the summer. The rain cover is also another favourite. They’re designed so they fit perfectly to this pushchair, you have a zip through the centre where you can open and shut the raincover as you please! I love the wheels and stability of this pushchair, as you go up curbs or bumps, the pushchair bounces instead of rattling and disturbing the child. 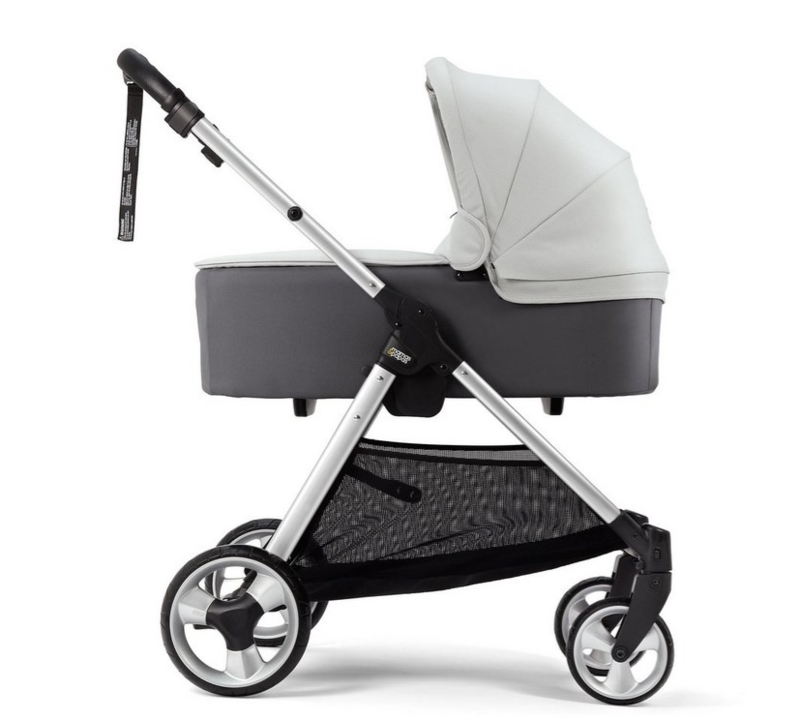 The back wheels are reasonably larger than the front allowing the pushchair to move comfortably along tough surfaces. 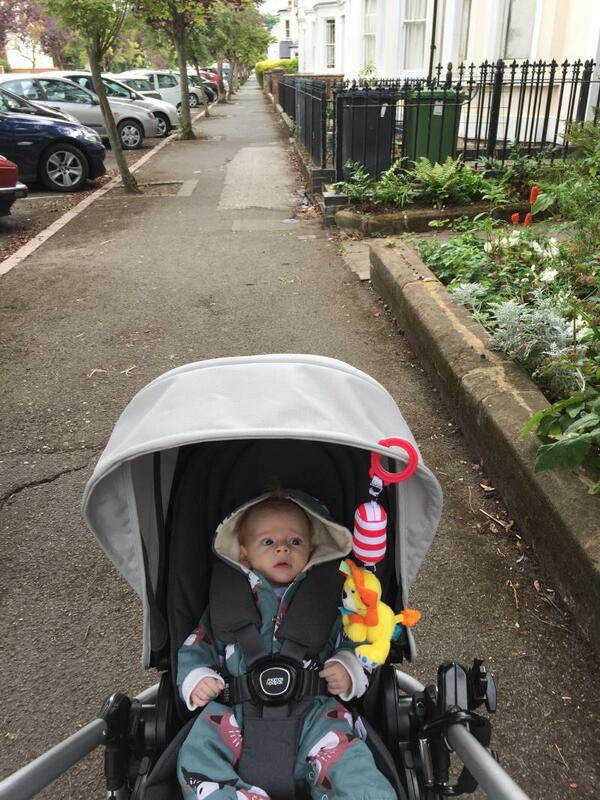 The only other negative to this pushchair is changing it from parent view - to world view. I thought this would be quite easy to do but I really struggle changing it, the buttons are placed at quite an awkward part of the seat unit, resulting in the top half of the seat unit causing you to strain your back because the heavier side pulls you forward. I have used this pushchair for my nearly 3 year old and my 7 month old, both of whom love it! One handed folding, folds relatively flat. We bought this pushchair as my sister has used it for both of her children and raved about it. It feels a good quality pushchair and the one handed fold down is brilliant when wrestling with a little one into the car. We managed to bag a bargain at mamas and papas outlet and picked this pushchair up for £299 including carry cot. The seat is a lovely size for a growing baby. Handle bar could extend a bit Moreno. Overall, I love this pushchair. Love the design, how easy it folds, it’s a small folding pushchair. One downfall is it can be quite heavy to lift to and from the boot of a car. It is such an easy pushchair to push. The seat is a lovely size and very cushioned. My baby always falls asleep and is very comfortable whether the seat is recliner or not. I love the fact it can parent and world face for when your child is a little older. Would definitely recommend the flip xt to other parents. The ability to fold this product and place it into the car boot without removing pieces. I bought this product as part of a package for use with my first child. She’s now turning two and it’s still in excellent condition. I now have a second child who also uses this product. The pieces are easy to change and have been excellent with our children. On long days out we use the seat for our toddler and carry our newborn. But on short trips we change the piece over to use the carry cot for our newborn while our toddler walks. The buggy is made to last and is still sturdy and strong considering we’ve had it for 2 years already. I don’t see us needing to buy a new one any time soon either. I absolutely love this pushchair. I bought this in the sake and would definitely have paid the full price. The quality is amazing! I love how it all folds together. We have the new Nissan micra and it fits perfectly in our boot with space still left. I love this pushchair! I have it in cloud grey and think it’s so pretty! 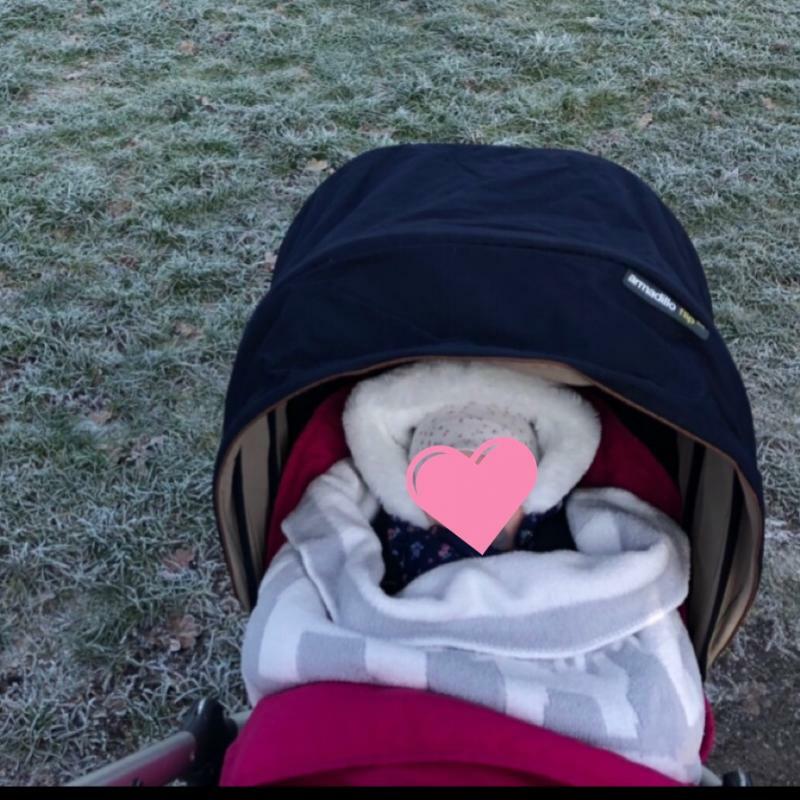 On the practical side, find it super easy to use, I have recently moved from the carry cot to the normal pushchair and have found my little one loves it. It can lay flat and also be pulled up to a laid back and upright position which is super handy! It’s easy to steal and very light. It’s also compact so easy to get through the hallway of my house! It folds up easily and fits in my boot which was a big concern for me (Kia Picanto). The Mamas & Papas Flip XT2 Pushchair has been designed to specially fit your baby, no matter at what stage of their development. Features a dual-position seat, with lie-flat option, so your baby can take up their seat as soon as they are ready to move on from their carry cot. No matter which way the seat faces, you can fold up your Flip XT² with one hand and no fuss. So it's down and away in no time. Designed to grow with your little one, the Flip XT² pushchair will see them through to their toddler years, with exclusive tweed-inspired cloud grey fabric and quilted lining - the Flip XT² is available in a pushchair only option or as a 4, 5 or 6 piece bundle.